Ahead of the U.S open, Treasuries prices have rallied, the once ‘mighty’ dollar has extended its losses and Euro equities are under pressure as the market assesses the implications of higher borrowing costs in the U.S and in China, alongside global trade tensions. Note: The Whitehouse administration is set to announce trade tariffs against China later today (12:30 EDT). Nevertheless, the market was disappointed as they had expected U.S officials to live up to some predictions that it would lean towards four rate hikes this year, instead of the three that had been communicated yesterday (dots suggest 2 more hikes this year for total of 3). In Europe, regional indices trade lower across the board, tracking U.S futures lower following the FOMC rate decision yesterday and the BoE rate decision this morning. U.S stocks are set to open deep in the ‘red’ (-0.8%). Oil prices are under pressure as the rise in U.S crude production threatens to undermine efforts led by OPEC to tighten the market. Brent crude futures are at +$69.34 per barrel, down -13c, or -0.2% from their last close. U.S West Texas Intermediate (WTI) crude futures are at +$65.13 a barrel, down -4c from their previous settlement. Any confidence in the oil market is being tempered by U.S crude production – last week it climbed to a new record of +10.4m bpd, putting the U.S ahead of top exporter Saudi Arabia and within reach of Russia’s +11m bpd. Note: Yesterday’s EIA report showed that U.S crude inventories had a drawdown of -2.6m barrels in the week ended March 16 to +428.31m barrels. Ahead of the U.S open, gold prices trade atop of its two-week high on a weaker dollar after the Feds rate view. Spot gold has rallied +0.1% to +$1,332.77 per ounce. Prices rose to a two-week high of +$1,336.59 yesterday, and also registered their biggest single-day percentage gain since May of last year. This morning, the Bank of England (BoE) is expected to keep interest rates and its asset-purchase program unchanged at 08:00 EDT. Attention will be on the language and the odds for a May hike, now seen as increasingly likely despite softer-than-expected inflation. U.K inflation fell to +2.7% in February, but remains well above the BoE’s +2.0% target. Elsewhere, the yield on U.S 10’s has decreased -3 bps to +2.85%, the biggest dip in three weeks. In Germany, the 10-year Bund yield has fallen -2 bps to +0.57%, the lowest in almost two-months. The markets focus now shifts to sterling (£1.4140). GBP rallied to a seven-week high outright of £1.4181, helped by a broad-based weakening of the dollar as well as above-forecast U.K. retail sales data (see below). 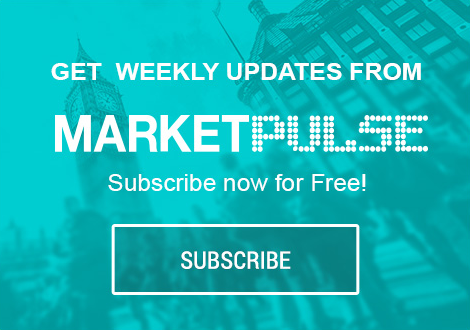 Market will be looking closely at the BoE’s statement – a “hawkish” tone [which means a 8-1 or 7-2 vote] may tilt the balance in favour of a rate hike as early as May. Data from the ONS this morning showed that U.K retail sales rebounded last month, but the underlying picture stayed weak, signalling that the British consumer remains cautious.